One is always shocked at the sudden death of a young person. More so, when a person chooses to end his/her own life. Why People Commit Suicide? Suicide is an extreme solution to seemingly insurmountable problems. It is an attempt to stop the unremitting emotional pain of rejection, hopelessness, guilt, sorrow, loneliness, rage, fear or shame. 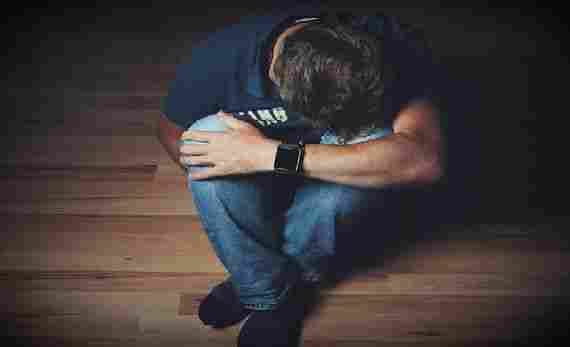 The origins of this terrible psychological pain are in most cases is the family which unfortunately becomes the minefield from where suicide seems the only escape. Psychologist Thomas Joiner put forth, the interpersonal-psychological theory of suicidal behavior. The theory states that, in order to die by suicide, an individual must develop high levels of three specific variables: a sense of thwarted belongingness, a perception of functioning as a burden on others, and the acquired capability for suicide. The first two variables, thwarted belongingness and perceived burdensomeness, comprise the desire for suicide. If as children we grow up feeling that we are an unwelcome and unwanted burden to our parents/caregivers we usually end up feeling we don’t belong in this world. We feel we are not worthy of our existence, our lives have no meaning. Noted psychologist and holocaust survivor Viktor E. Frankl in his book Man’s Search for Meaning extrapolates “We need to have a WHY? He who has a WHY to live for can bear almost any HOW. When the closest people in our lives don’t care about us and reject us we don’t value ourselves and we feel existentially lost in the meaningless of our existence. Our lives seem insignificant, senseless, hanging by a flimsy thread which could snap easily. Even though I did not make a physical attempt at killing myself, I had serious thoughts about just ending it all. After my mother died, even though my world was chaotic and abusive, I still pushed through, plodding along telling myself that if I do this for my father, brother, aunt, uncle they would love and care for me. Gradually, the feeling of being a burden, a nuisance to everyone who I trusted was so real. I just could not ignore their behavior and actions towards me. It was so horribly painful. Slowly, I began dreading living but pushed on, hoping that once I became an adult I would be able to escape the hell-hole. 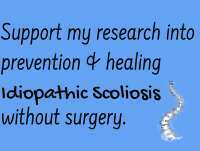 Then my back gave way (I developed scoliosis), the emotional pain was too much. Instead of taking me to the doctor, my father would hit me on my back forcing me to straighten up. That was my darkest period and when the doctors said that nothing but surgery was an option which did not come with any guarantees. I felt the hope draining from me, I could not imagine living the rest of my days a hunchback under my father’s unremitting abuse. The meaningless of my existence began to erode any hope for the future. The only escape for me was killing myself. I planned how to go about it but finally, my belief that it was a sin, plus the thought of leaving my brother alone was what stopped me. I decided like Scarlet O’Hara “Tomorrow I’ll think of some way . . . after all, tomorrow is another day”. Now it is more than 30 years since that black period. Lucky me, I managed to find hope and courage to push on; find meaning in my suffering. I was fortunate to find the help and kindness of strangers and friends. Nevertheless, today I am honestly glad to be alive.